During WWII, German E-Boats were so active in the English Channel that the narrow stretch of water became known as 'E-Boat Alley'. To counter the threat of these E-Boats, Britain brought its coastal forces to bear - flotillas of small Motor Torpedo and Gun Boats (MTBs and MGBs) and Motor Launches (MLs). As the Germans sought to maintain their supremacy in Channel waters, they continued to develop their E-Boat designs to accommodate more armor and more firepower. Rather than matching the newer E-Boats for armament, the British developed several types to fulfill the varied roles for which the Kriegsmarine were attempting to use the E-Boat. 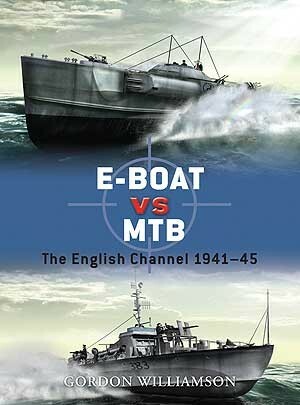 This book details this developing conflict, examining the evolution of the boats involved, and covering the their battles from fights in the Thames Estuary to the build-up for D-Day. Gordon Williamson was born in 1951 and currently works for the Scottish Land Register. He spent seven years with the Military Police TA and has published a number of books and articles on the decorations of the Third Reich and their recipients. He is the author of a number of World War II titles for Osprey.Ian Palmer is a highly experienced digital artist. A graduate in 3D Design, he currently works as Art Director for a leading UK games developer. Besides his artistic interests he is also a keen musician and motorcyclist. 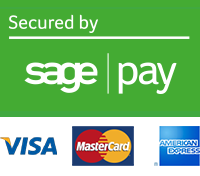 He lives in Surrey with his wife and daughter, and two cats. 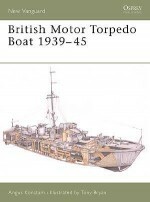 Ian completed the three-way views, elevations and armament illustrations in this volume, as well as the cover artwork. Howard Gerrard studied at the Wallasey School of Art and has been a freelance designer and illustrator for over 20 years. He has worked for a number of publishers and is an associate member of the Guild of Aviation Artists. 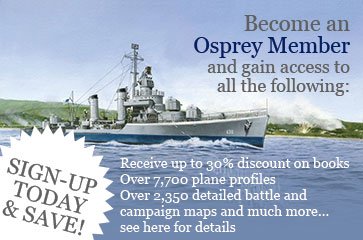 He has won both the Society of British Aerospace Companies Award and the Wilkinson Sword Trophy and has illustrated a number of books for Osprey including Campaign 69: Nagashino 1575, and Campaign 72: Jutland 1916. Howard lives and works in Kent. He completed the battlescenes in this volume.